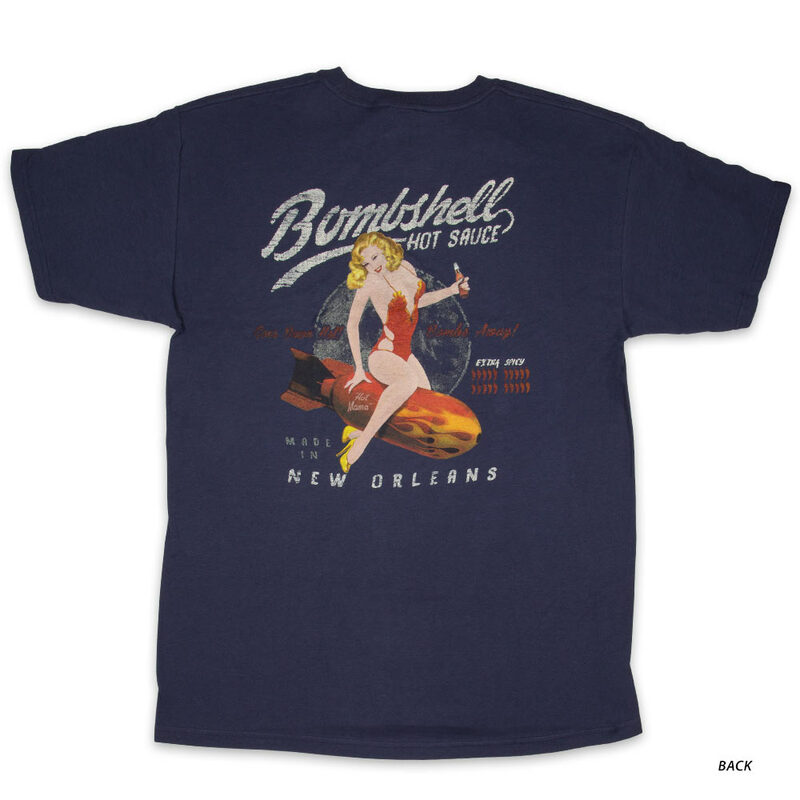 Bombshell Hot Sauce Midnight Blue T-Shirt | BUDK.com - Knives & Swords At The Lowest Prices! Looking for an alternative to the standard-fare, boring t-shirt design? Boring our Bombshell Hot Sauce shirt is not! 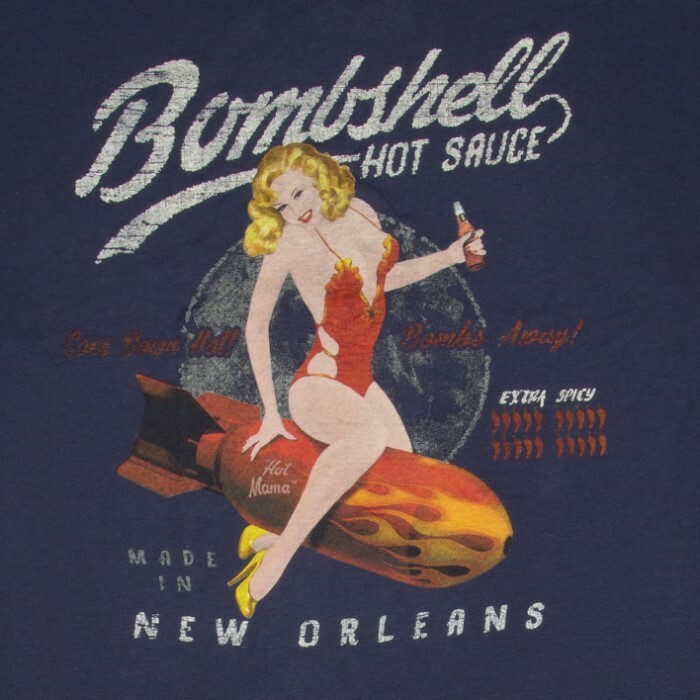 The high-quality t-shirt has a hand silkscreen printed piece of original artwork that looks like a vintage advertisement from New Orleans, advertising Bombshell Hot Sauce. It features a red hot pin-up girl sitting astride a bomb. 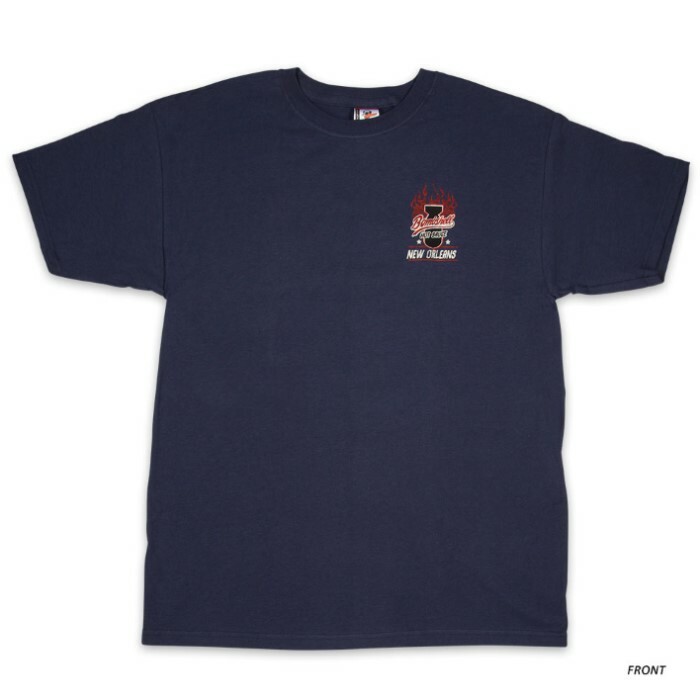 The shirt is made of 100 percent cotton in a midnight blue color and comes in sizes large, 1XL and 2XL. Add this spicy hot t-shirt to your closet today!